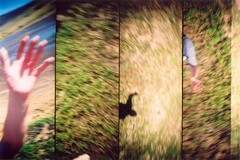 Camera Toss (The Blog): toy cameras + toss = more fun! A lovely combination indeed. Appearing in the pool today, contributed by Embra, is what I believe to be the first examples of "LOMOfied" camera tosses. 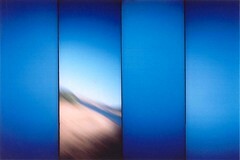 The particular model in this case was the SuperSampler which is unique in that it exposes 4 panels in short succession onto a single frame of 35mm film. Lomos, Holgas, and Toy Cameras in general are all extremely interesting canidates for further airborne study! Plus it's nice to finally see some people enjoying film instead of digital for this technique. Personally I have my eye on the toy fisheye for tossing! Wow... It is really good and exciting photos. I'm deeply impressed from your photos. I wonder how to link many photos in your blog from flicker? these are fantastic! i've discovered someinteresting things I can do with my camera but I was too scared to toss it. You've started something new, well done! I love it!